I love nachos. But not the boring kind where you dip chips in a fake cheese sauce. Oh no. I like the real, melty cheese variety loaded with all sorts of delicious fresh and full-flavor toppings. Nachos are the perfect summer food. They’re quick to whip up for dinner or a backyard BBQ or party appetizer. Not only that but they are easy to customize to each person’s taste (I’ll take mine with everything, please!) something I know that the kids appreciate. Can you believe that summer is right around the corner? It’s hard to believe, but having just wrapped up Spring Break (with some gorgeous weather! ), it’s getting easier to imagine summer time! Summer is a busy but lazy time of year, with swim practice and swim meets, park days and camp outs. The two things that are SO much harder for me during the summer are sticking with a good work schedule (because the kids want to be on-the-go all the time) and sticking with a good dinner schedule (who wants to be in the kitchen standing over a hot stove when it’s 98 degrees outside?). Summer is the perfect time for getting together with friends and family, and McCain fries compliment SO many of our favorite summer-time meals. Whether you’re firing up the grill for a backyard BBQ or inviting people over for a warm summer evening spent indoors, McCain fries are the ideal addition to your menu plan. Our family is particularly fond of onion rings, so McCain Craft Beer Battered Onion Rings are always a hit alongside a juicy burger. But for those nights when I really don’t want to get any hotter by cooking dinner, McCain 5 Minute Fries can’t be beat! I try to spend as little time as possible in the kitchen during the summer. Between swim team and my busy work schedule, I don’t have the time, anyway! 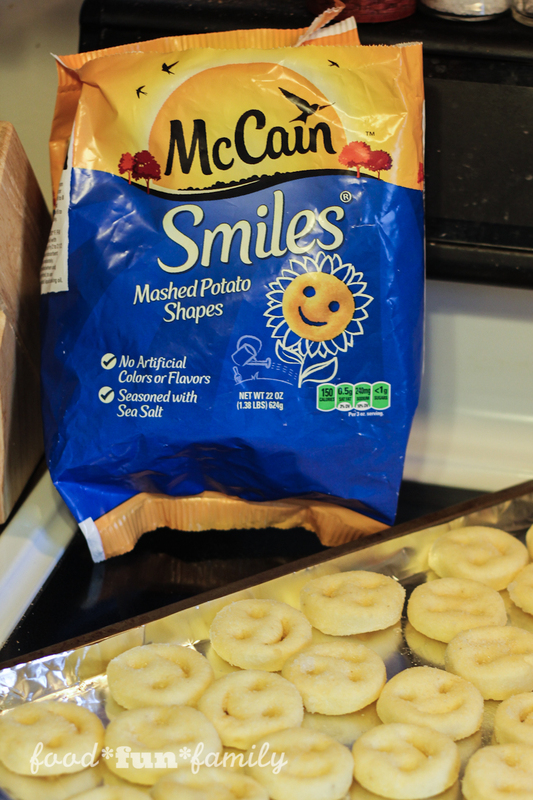 This week, I tried a new spin on a family-favorite and used McCain Smiles (mashed potato shapes) instead of tortilla chips for some quick and easy loaded potato nachos! They were a major hit in our house. Everyone loved them and was asking for more! 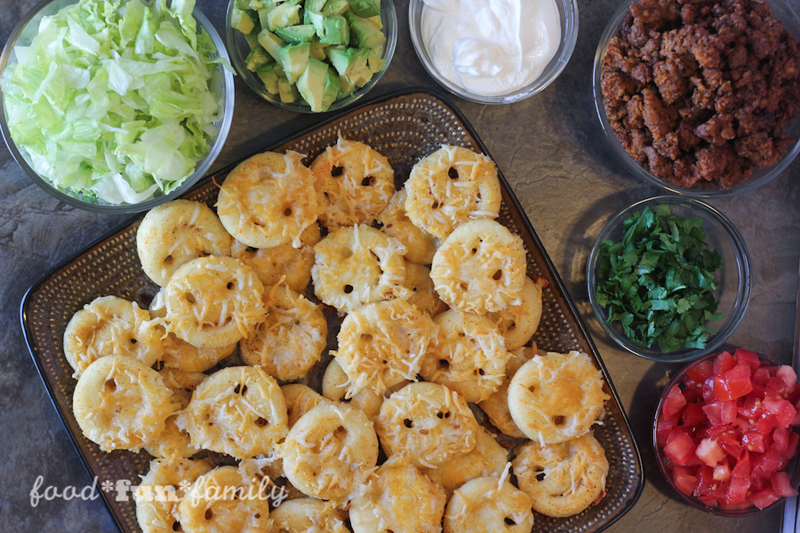 Not only are these loaded potato nachos delicious and easy to make, but they are so much fun thanks to the smiley faces on each McCain Smiles! 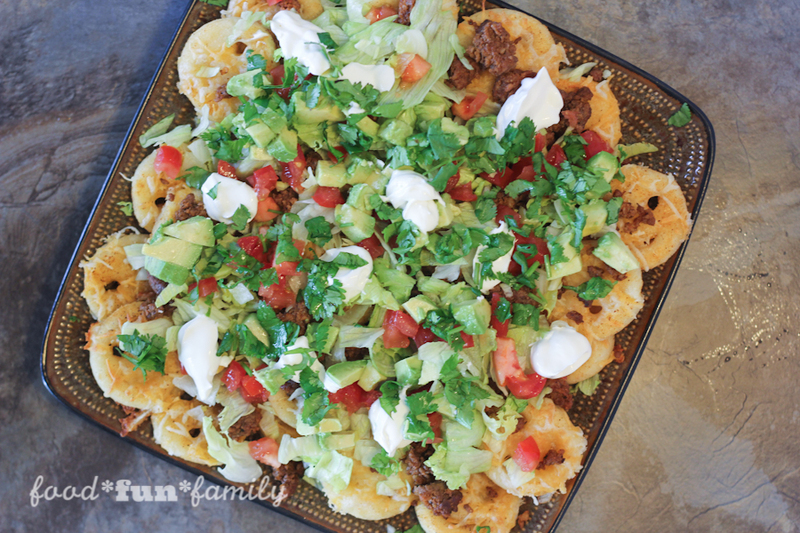 In fact, we’ve already nicknamed these delicious nachos “Smiley Emoji Nachos” in our house! And let me tell you – potatoes make the perfect “base” for loaded nachos! Preheat oven to 425° F. Line a baking sheet with aluminum foil. 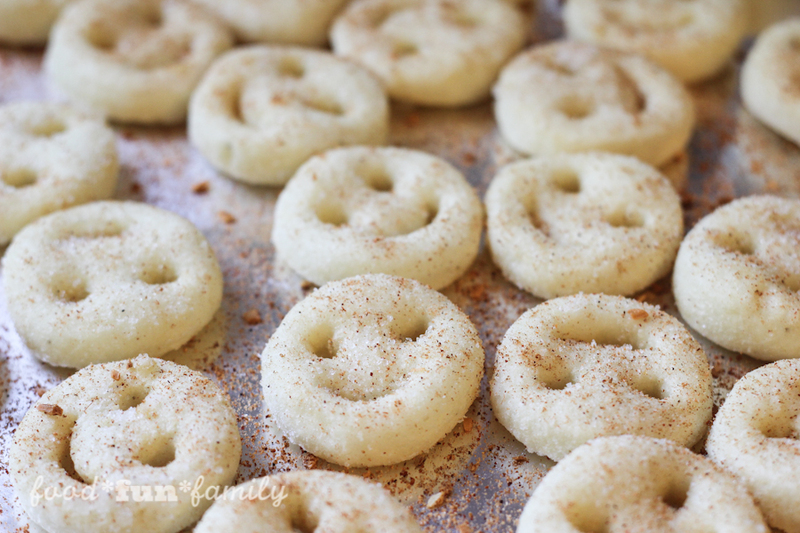 Spread McCain Smiles on the foil in a single layer. Sprinkle generously with taco seasoning. Bake for 6 minutes; flip product over and bake for an additional 6 minutes. 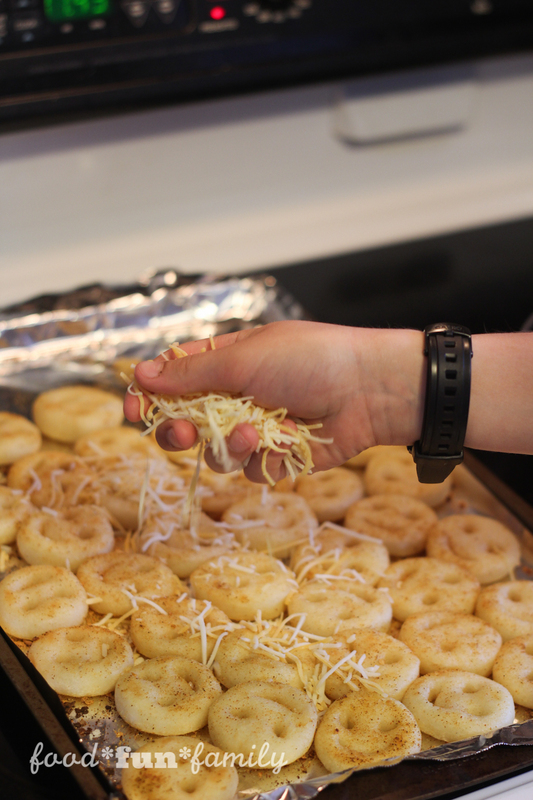 Sprinkle with 1 cup cheese and return to oven; bake for an additional 2 minutes, or until cheese is melted. 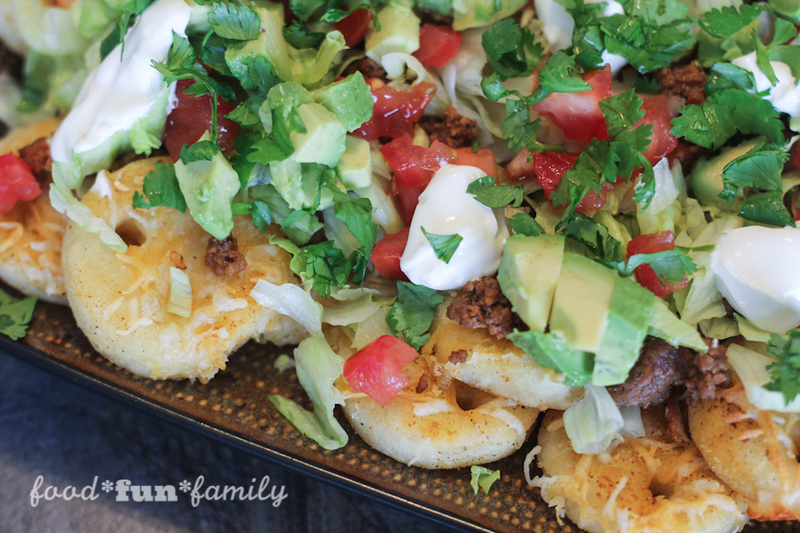 Serve potato nachos hot topped with your favorite fresh nacho toppings. 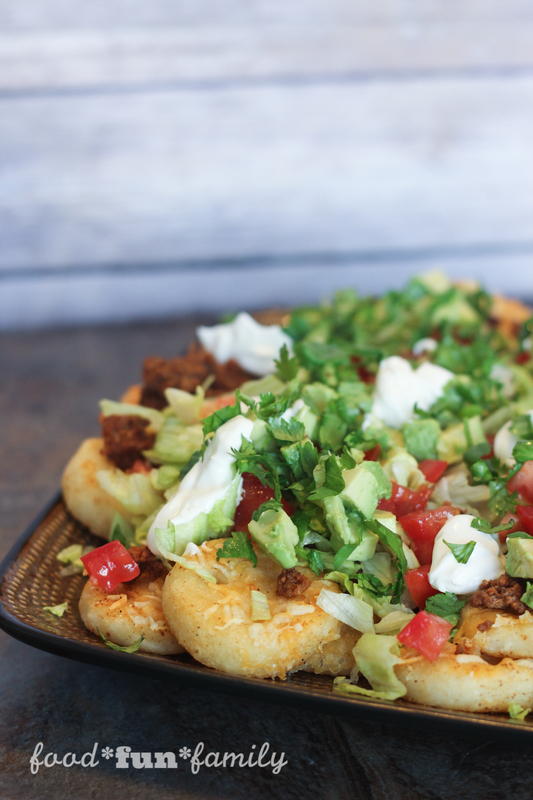 Loaded potato nachos are perfect for sharing….but be forewarned. You may not WANT to share these delicious nachos! They definitely put a smile on our family’s faces. So tell me, how would you top your loaded potato nachos? Get more ideas for McCain fun for the whole summer here. Oh my, does this ever look good! And I never noticed these before, I must try this, and now I also want to pick up some onion rings we haven’t had them in ages, and perfect for burgers, etc. What a GREAT idea! Definitely pinned for a future plan! I would love for you to share over at the new Let’s Party! https://themarkandjanshow.com/2018/01/31/lets-party-6/ … we look forward to seeing you there! Loaded Potato Nachos – I could go for this! I never would of thought of that! I love nachos! 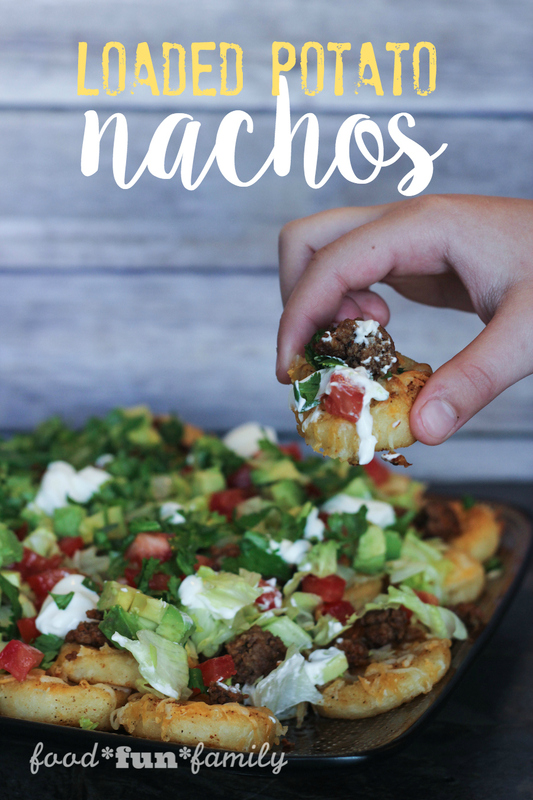 This recipe looks yummy and would be a change up from my usual nachos. These look fun & delicious! You put Nacho in front of anything or behind anything and I’m here. In fact today I had a Nacho Burger! These nachos are just adorable! I want to make them and they look so delicious. I never thought about making nachos with potatoes!